Do you need to have your garage door problem or emergency fixed today? 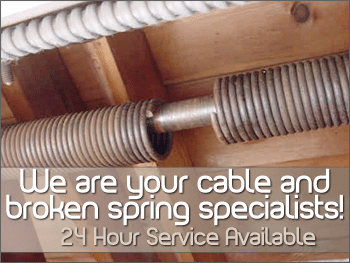 If you need a garage door repair or service, Garage Door Services is available to you 24/7. We won’t charge you extra for services performed on nights, weekends or holidays! We are committed to providing professional service by highly trained & certified technicians. We will deliver the highest quality parts that are available in the garage door industry. You can rest assured, knowing your garage door will operate safely, smoothly and quietly for years to come. We offer two fast & convenient way to contact us right now. What is the Garage Door Services difference? Garage Door Services of Mooresville, Winston Salem & Huntersville, NC only uses the highest quality garage door products. With years of experience in the Mooresville area, Garage Door Services are dedicated to getting the job done right with durable, lasting garage door products and springs. With our exceptional service, fair pricing and quality products, you'll choose us again and again for garage door installation and repairs. We only use the highest quality products when installing or repairing your garage door. The standard springs that most companies use are 8,000 - 10,000 cycle (how many times your door can open and close before you have another spring failure). They usually last around 6-8 years, depending on usage and we have seen them break in as little as 2 years. Our springs are 30,000 cycles and will last around 20 to 25 yrs. We back ours with written warranties and have yet to see one of our springs break. We find out the exact weight of your garage door and match the springs up so we know they are right for your door. Other guys just look at the old springs and put the same weight spring on. But what if this was the wrong spring set-up to begin with? We have seen it happen many times in Mooresville, Huntersville, Winston Salem and our surrounding service areas. On wooden garage doors it is extremely important to get the door's weight before putting springs on. Wood doors tend to gain weight over the years, so just putting the same size that you had on before is wrong to begin with and they will have to add extra tension on the spring than they are supposed to have to lift the door. This will cut the life of your new springs down drastically. Why pay for 10,000 cycle springs when you can get higher quality springs that last 30,000 and are backed by a written guarantee for the same price? And of course, we offer fast, friendly service throughout Huntersville, Mooresville & Winston Salem, NC. We are always just a phone call away whenever you're in need of garage door repair or installation. Do you need to have your garage door problem or emergency fixed today? That's no problem for Garage Door Services! Don't hesitate and call the location nearest you. Browse our service areas to learn more about our expert services to Iredell County, Davidson County, Burke County and more! Whether it's first thing in the morning, when you get home from work, in the middle of the night or on the weekend, we will dispatch a certified garage door technician to fix your garage door problem right - the first time. By choosing Garage Door Services, you will get professional service by a trained and certified technician. You will get the highest quality parts available in the garage door industry. You can rest assured, knowing your garage door will operate safely, smoothly and quietly for years to come. We service and repair all major makes and models of garage doors and garage door openers in Mooresville, Huntersville & Winston Salem, NC. Our service calls are $39.95 and there is NO ADDITIONAL CHARGE FOR NIGHTS, WEEKENDS OR HOLIDAYS! Call ANYTIME for garage door repair or installation.